Since their launch couple of years back, Chromebooks have steadily gained acceptance world over. While the world is not going gaga over these devices, they have been doing quite well with a segment of users who are constantly on the move and do not need to do heavy work on their laptops, and desist doing things on the smaller screens. 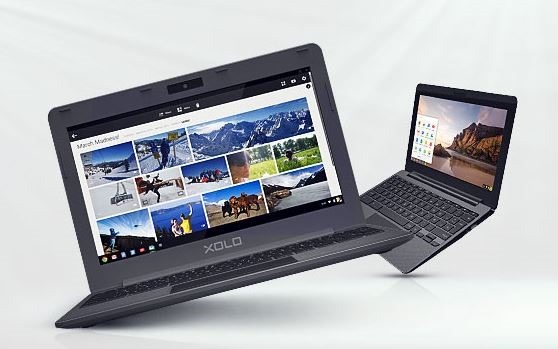 Now, Google has partnered with 2 Indian brands – Xolo and relatively unknown Nexian – to launch 2 budget Chromebooks priced Rs. 13,999 and Rs. 12,999 respectively. Given the price both these Chromebooks have moderate specifications and may appeal to people who need bigger screens to do routine stuff like browsing, checking email and creating documents on Google drive. Let us look at both of them closely! The Nexian Chromebook is cheaper of the two and stands out with it’s Industrial and sturdy design. It comes in all-white color and comes with a Nifty in-built case. The Nexian Chromebook features 1.8 GHz Cortex-A17 Quad core Processor coupled with 2GB DDR3 RAM and 16GB storage (Up to 9.6GB available for User). However, the storage is expandable as it supports eMMC & SD Card. The 11.6-Inch TFT Display has a decent resolution of 1366*768 pixels which is backed by ARM Mali-T764 GPU Graphics. It has a in-built 1 MP 1280*720 Camera and comes with self-updating Chrome Operating System. As is the case with most Chromebooks, Google is offering 100GB cloud storage on Google drive. It features a 4200 mAh battery that promises to last more than 8 hours of moderate usage. 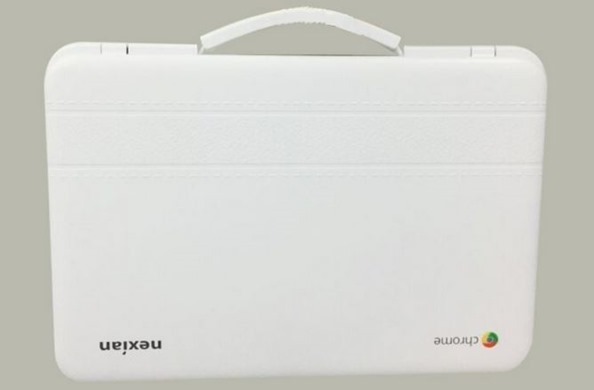 The standout thing about Nexian Chromebook is it’s all-white industrial look and built-in carry case. 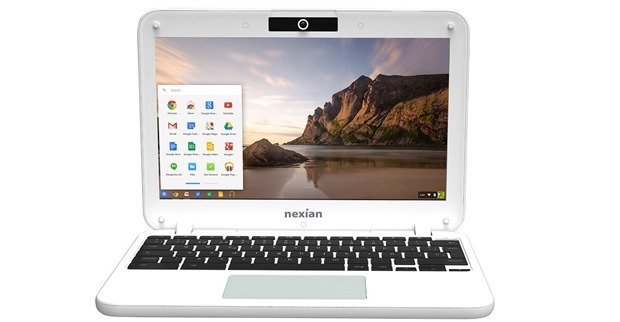 The Nexian Chromebook is available to order on Amazon right now, and will start shipping from May 21st, 2015. As an introductory offer, a 64GB SD card is available for all buyers. In addition, Amazon also has a buyback offer for your old laptops! Xolo Chromebook, although a Rs. 1000 higher than Nexian sports a more traditional Black and Grey look, but has slightly higher specifications when it comes to storage. Priced at Rs. 13,999/-, the Xolo Chromebook comes with 1.8 GHz Rockchip RK3288 Quad-Core Cortex-A17 processor coupled with 2GB of DDR3 RAM. All other specifications are nearly identical to Nexian Chromebook including the Display size, camera resolution, expandable storage as well as Battery. While Nexian promises 8 hour battery life, Xolo states that their Chromebook gives upto 10 hour battery life. The Xolo Chromebook will be available exclusively on Snapdeal and will start shipping from May 21st as well. At the price they are offered, both the Chromebooks will appeal to users who are looking for inexpensive laptops who want to run not-so-heavy programs. However, Chromebook users need to keep in mind that without internet access, Chromebook are useless and nothing much can be done on it! "Google Launches 2 Budget Chromebooks In India Priced Below Rs.14,000! ", 5 out of 5 based on 1 ratings.